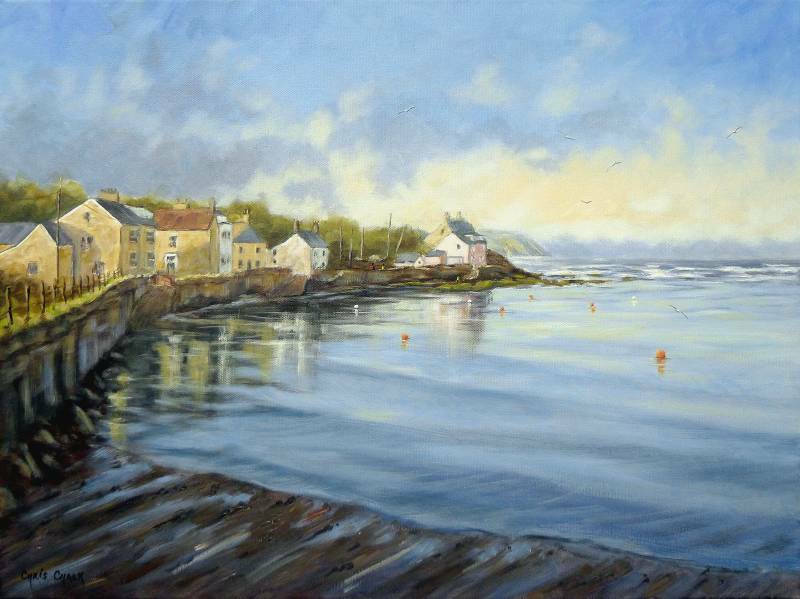 This viewpoint always makes for a beautiful painting of Newport in Pembrokeshire. The eye is lead down the beach to the water's edge, before travelling across the quiet harbour to the boats and Newport's colourful cottages, with Dinas Head visible behind. 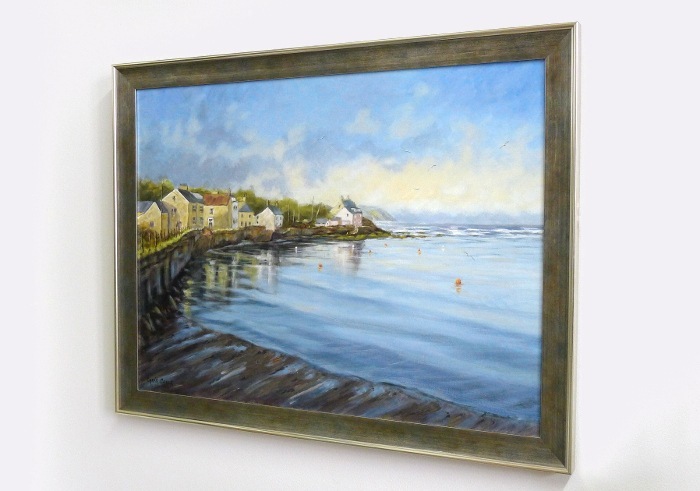 Painted on Loxley Gold stretched canvas, 24 inch x 18 inch x 1/3 inch - Frame optional extra, please contact me for price.